I love to read. I love to see my students learn to love to read. It's just the best. Encouraging their independent reading is one of my greatest joys as a teacher. (Find out more in Podcast Episode #003!). 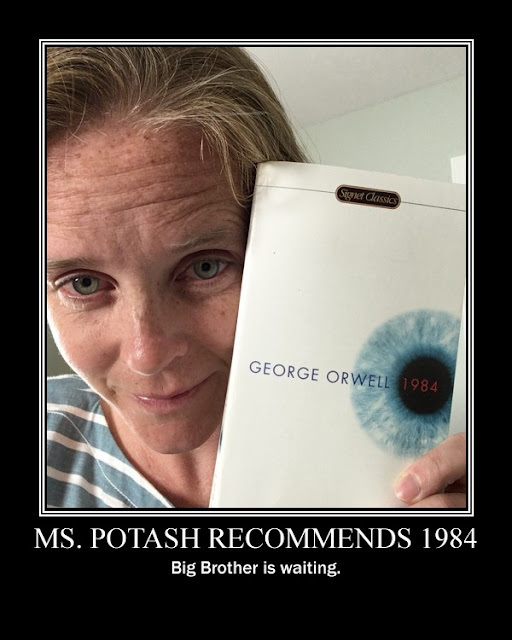 I love to remember the students who fell in love with reading on my watch, and to pave the way for more. One way I promote reading is by inviting people from around the school to visit occasionally and talk for one or two minutes about their favorite book. I've had several history teachers, an art teacher, an administrator, and more. You could also invite older students, alumni, community members, politicians. Showing students that their adult role models read for fun and interest is a great way to let them know how much reading matters. We've got to fight back against the likes of Candy Crush and Snapchat! Afterwards I take a picture of the guest with his or her book and turn it into a poster. It's so easy, using the Big Huge Labs motivational poster tool. You just upload the picture, choose a few details about the orientation and border of your final poster image, add your text, and you're done. Download, stick the image on a blank document, print, and you are ready to go. I like putting my posters up on my door and around my classroom. This would also make a great project for students. 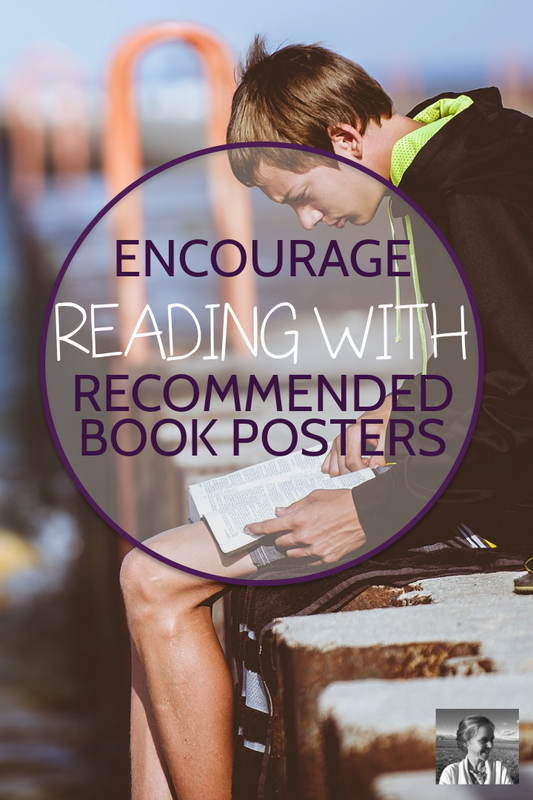 You could have each student in your class create a poster after taking a picture of a friend or family member with a favorite book, then create a giant reading gallery. Just last week my son's kindergarten teacher sent a reminder to all the parents to let our kids see us reading to help them want to learn. I believe older students are also inspired to read by seeing people they care about with books they love. 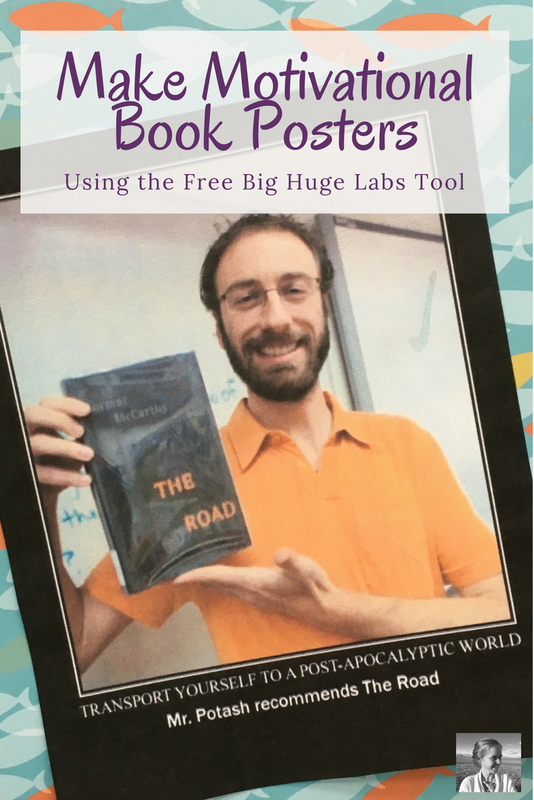 The bonus is, with this type of poster, they get great ideas for reading material too. 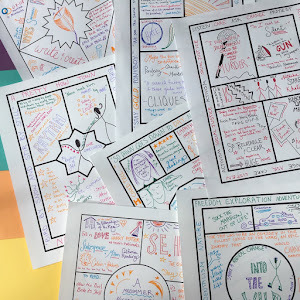 If you're the type of teacher who cares so much about your students that you make reading posters in your free time, we want you in our Facebook group, Creative High School English! Just click "join" when you get there.